Rhinoplasty is the medical term used to describe nose surgery or a 'nose job', a procedure usually performed to enhance nasal shape. It is one of the most popular cosmetic procedures performed in the UK every year and Mr Chana is one of the country's leading Rhinoplasty specialists. Many people are self-concious about the shape of their nose and choose to undergo a Rhinoplasty for cosmetic reasons. Very often personal and emotional reasons play a role too. It may be that they dislike the overall shape of their nose and want it made smaller. Or it may be that they want a 'dorsal hump' (bump) removed. They may dislike the width of their nostrils, or want the tip of their nose to be more refined. Other patients may choose to have a Rhinoplasty because of an injury to the nose or because they are having breathing issues. Whatever the reason, Rhinoplasty surgery is a delicate procedure which requires careful planning to achieve the desired result, one which is harmonious with the rest of the face. There are limits to how much a nose can be altered. Different physical characteristics, your age and ethnicity also effect how a Rhinoplasty procedure is performed. Mr Chana will always take your facial features into account when planning any surgery. During an initial consultation with him, you will undergo a full examination and discuss your nose features in detail so he can make an accurate plan for the surgery you require. You will also be asked about your general medical history, including details of any previous nasal injury or corrective surgery. You can read more about Rhinoplasty in the sections below. There are different techniques used in Rhinoplasty surgery. These are known as a closed Rhinoplasty approach, an open Rhinoplasty approach or a reduction Rhinoplasty approach. They are all carried out under general anaesthetic. In a closed Rhinoplasty, the surgical incisions are made inside the nostrils so that there are no visible external scars. However, whilst a visible scar is prevented, there are considerable surgical challenges to this type of procedure as access into the nose is limited and a great deal of experience and skill is required by the surgeon. An open Rhinoplasty employs a small bridging incision across the columella (the column of skin between the nostrils), which allows the nasal skin to be folded up (a bit like a car bonnet) so that access inside the nose is uninhibited. 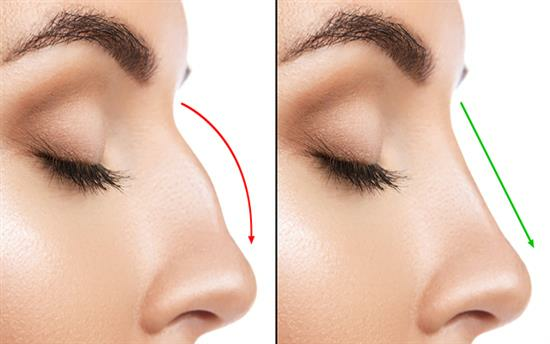 Reduction Rhinoplasty, or a 'nose job', is used to decrease or increase the shape of the nose. It can also involve removing a ‘hump’ to create a new profile or reshaping the tip, bridge or nostrils. Following surgery surgical tapes and/or a small plaster cast are required for about a week to support and protect the nose, especially if the surgery has involved bones while they set into their new position. Small dissolvable stitches are used inside the nose during a Rhinoplasty. You may also have stiches on the outside, which are normally removed within a week. Reshaping the tip of the nose is achieved by cartilages underneath the skin and these are adjusted to refine the nose so that it matches the new profile. Sometimes it is necessary to implant tissue, called 'a graft', into the nose to obtain the desired result. The tissue may be obtained from the nose itself, from the cartilage of the ear or occasionally from a rib. Nasal packs may be necessary to prevent bleeding and to ensure that the lining of the nose adheres correctly. Consequently, you will need to breathe through the mouth until they are removed which is usually within 24 hours and involves a very simple procedure. Even if packs are not used you will still feel blocked up and unable to breathe fully through the nose. This is due to post-operative swelling and is very normal. If the actual breathing passages have been operated upon, it may take longer for the nose to heal and fully clear. In most cases, Rhinoplasty surgery involves an overnight stay in hospital. The following morning you will be assessed and the nasal packs (if used) will be removed. All being well, you should be able to go home. Most patients will take two weeks off work for recovery. Your nose will feel tight and sore after surgery, but surprisingly pain is uncommon. If you require painkillers, they can be prescribed by Mr Chana. Aspirin or aspirin-like medication (non-­steroidal, anti-­inflammatory tablets) must not be taken. It is important, not to blow your nose or to sneeze through your nose. You should avoid bending over or doing any activity for at least a week or so to reduce the swelling and avoid any possibility of a nosebleed. Sports or vigorous activity should not be returned to for 6 weeks. Sleeping elevated using extra pillows will also help reduce the swelling. You will also have bruised eyelids after surgery and your eyes and face may be swollen. Most of the swelling will settle in a couple of weeks and delicate make ­up can be worn to cover any bruising as soon as the plaster has been removed. If you have had a closed Rhinoplasty there will be no external stitches, however with an open Rhinoplasty there will be stitches across the central strut (columella). Although these stitches are dissolvable the nurse may trim the ends of them. If you have had have a nostril reduction there will be external stitches that will need to be removed after about a week. The scars will be a little red at first, but are hidden in the natural shadow of the nose. They will heal with time. Following surgery surgical tapes will cover the outside of your nose. A small plaster cast may also be required for about a week to support and protect the nose. After it is removed you will still need to have tapes applied across your nose for a few more days to help control the swelling as the nose heals. It is normal for the nose to feel a little numb after surgery, but sensation will return as the nerve supply to the skin regenerates itself over the next few months. It can take several months for all the swelling to settle, so it's important to realise that the shape of your new nose after the cast is removed, is not the final one. Scar tissue forms underneath the skin of the nose and although it is not visible it can effect the shape. 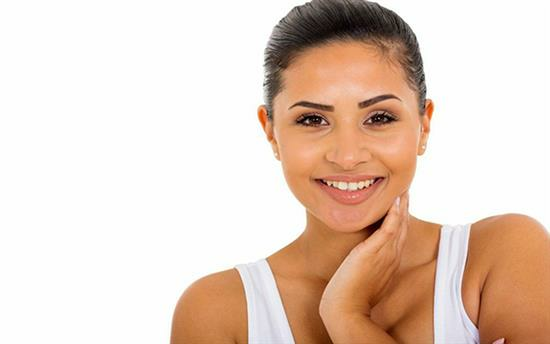 The process of this scar maturation takes on average six months, sometimes longer, therefore you need to give your body the time it needs before the final result of your new nose becomes apparent. Infection and bleeding are possible, but the healing process is normally straightforward. Serious complications are very rare. If you do develop an infection, Mr Chana will prescribe a course of antibiotics. It is very important that you do not have a cold or cough at the time of your operation. If you have any doubts or concerns, please discuss them with Mr Chana. Nose surgery is a very specialised procedure and requires a great deal of time to heal. As a result, around 10% of patients will require a further refinement at a later date. This is particularly apparent with noses that have been the subject of severe injury, or in the case of a very large reduction in nasal size. If there is a high chance of needing a secondary procedure, Mr Chana will inform you. Most secondary procedures are usually a case of minor adjustment, but you should be aware that any surgery cannot be carried out until it is safe to do so, normally between 6 to 9 months after your initial operation. Mr Chana will provide you with a comprehensive information leaflet on Rhinoplasty following your initial consultation. Rhinoplasty surgery creates a permanent change in the the shape of the nose, so before embarking on surgery, it is very important to consider your motivations for wanting surgery and to what degree a new nose will improve your confidence and well being. If you are considering a Rhinoplasty, it is usually because you have a specific feature of your nose which you dislike. At an initial consultation with Mr Chana, this will come to the fore and be fully discussed along with the likely result that can be achieved. He will always strongly advise a patient that following the consultation, they reflect on what was discussed in order to make sure they are fully informed on whether surgery is the right course of action for them. Very often patients elect then choose to have a second consultation to help them confirm things and to ask additional questions. You will not be charged for a second consultation with Mr Chana. Recovery will very much depend on the extent of the procedure, but in general you will have to wear a nasal cast for a week and some facial bruising will be apparent for a couple of weeks. It is very important to refrain for physical exertion for approximately six weeks after surgery as swelling is always slow to resolve itself. After 4 to 6 weeks the majority of initial post surgical swelling will have gone down, however the long term result can take several months to see. In some cases it can take as much as a year for all the tissues to completely settle and the final result to be fully appreciated. If extensive work has been performed on the nasal tip this can be particularly slow before the final result can be fully seen. Surprising Rhinoplasty causes very little pain. It is in fact one of the least painful cosmetic procedures. If there is any discomfort, it can easily be controlled with mild painkillers. Nobody needs urgent Rhinoplasty, so it is advisable to take your time and find a surgeon you like and can trust. Only go to a surgeon that is properly trained and registered on the General Medical Council. The most important factor is the experience of your surgeon. It is often difficult to truly appreciate the experience of a surgeon from just qualifications alone, so it is therefore important to research as many examples of their work as you can, read patient testimonials and look at other areas of their facial and reconstructive plastic surgery experience. It is also very important not to choose a surgeon based on price alone. More experienced surgeons tend to command a premium for obvious reasons. At a face to face consultation you will also get a good sense of whether the surgeon is right for you. They should be caring and offer reassurance, as well as understanding all your reasons for wanting a Rhinoplasty. What results can I expect with a Rhinoplasty? You can only get a full picture of the likely results you can achieve after you have had a thorough consultation with an experienced surgeon. During the consultation you should discuss what you dislike about your nose so the surgeon can get an accurate picture of your condition. Your surgeon will advise on the procedure and the refinements that may be required to keep the final result in proportion with your overall facial aesthetics. Reviewing case studies in patients with similar problems will also help provide you with an a good idea of what can be achieved, particularly if you can see before and after photographs. What makes an attractive nose? An attractive nose depends on many factors, including ethnicity. Specifics such as size, shape, bridge line and tip need to combine with full facial features to create ideal symmetry and harmony. Sometimes patients bring photos of a nose shape they aspire to but soon discover it cannot work with their particular face. Above all, it is important to listen to the advice of an experienced surgeon as they will offer the very best advice on creating harmony with your existing facial features. A closed Rhinoplasty is a surgical procedure using incisions made internally within the nostrils. An open Rhinoplasty requires a scar in the columella, the skin bridge between the nostrils. The limitations with a closed Rhinoplasty mean that it may not always be possible to address certain nose issues particularly a crooked or deviated nose. An open Rhinoplasty procedure will allow much greater access to the inside of the nose and provide better results for these conditions or to correct a broad or bulbous nasal tip. It is important that your surgeon explains both types of Rhinoplasty since each approach offers different things. An experienced surgeon is crucial in determining which kind of procedure will suit you best. 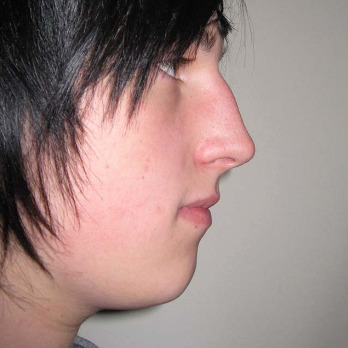 What is the minimum age for a Rhinoplasty? In the UK it is not possible to operate for cosmetic reasons alone on an individual until they are 18 years old. Mr Chana is fantastic, I have wanted a correction to what I felt was a broken nose since I was a late teenager and was always too nervous to go ahead with investigating what could be done. A friend recommended him to me, and after my first consultation I felt completely at ease and confident that he would be able to give me a good result so decided to go ahead with the procedure. Mr Chana's team are all wonderful and make you feel very comfortable with all of the process. Prior to surgery I had no nerves at all and was confident that I would have a great result, my after care was wonderful and with no complications my check ups both of us were very happy with the results even during the settling period. I have just recommended Mr Chana to a friend who has some issues with eye bags and I am hoping that he can help her get the same great results he gave me. Dr chana did my revision rhinoplasty in oct 16 after a botched surgery with a different surgeon the year before! His consult alone made me cry as it was so much more than I previously had! I came out knowing exactly what he would do and with no apprehensions about having more surgery with dr chana. His aftercare is Second to none! I cannot be any more happy with my results and im only 3 months post op!! I highly recommend him and if I was to have any other plastic surgery I wouldn't go anywhere else! Dr Chana is the most professional, kind and patient surgeon. I had gone to previous consultations and always felt rushed out and not heard, however, with Dr Chana I instantly knew I wanted him to perform my rhinoplasty. He understood what I wanted, knew exactly what was right for my face and took the time to listen to me. Throughout the whole process I felt at ease and comfortable, and the aftercare has also been amazing. I had to go back a couple of times and he always saw my straight away, as well as perfoming a second operation that was needed in the healing process. I would highly recommend Dr Chana. It's been about 3 years since I had my rhinoplasty procedure and I couldn't be happier. I don't know why it took me so long to leave a review of Dr Jag Chana. He did such a great job and made my nose suit me so much and look just like the nose my face should have always had! During the consultation he really understood the problems I had with my nose and made me feel like I was going to be in safe hands, and I was. I've had compliments from people telling me that I have a lovely nose and whenever I tell anyone I've had surgery they can't believe it as it looks so natural! Definitely recommend Dr Jag Chana! Over the moon with my results, when comparing him to other surgeons he was far more helpful from the outset and was able to do more than others had proposed. As a surgeon very creative and meticulous. Mr Chana performed a correction on the tip of my nose following disappointing results from another surgeon several years earlier. He was recommended to me by a close relative who had experienced fantastic results with him on facial surgery. On meeting Mr Chana, I found him to be overwhelmingly polite and calm and he put me at ease immediately. He understood my concerns and was happy to take on the corrective surgery. The results were very good. I felt he had actually gone above and beyond to really improve the shape of my entire nose, not just the tip which I am very pleased with. He really is a skilled surgeon, a perfectionist and generally just a very nice man. I was recommended to go and see Mr Chana having already had 2 rather unsuccessful rhinoplasties that had left my nose in a condition I wasn’t happy with. From the moment I met Mr Chana I was put at ease by his professionalism and I felt reassured by his diagnosis and the improvements he felt were achievable. I decided to go through with the surgery and I am extremely pleased that I did. 6 weeks post surgery it is clear to see the improvements in my nose already. I also feel that Mr Chana went above and beyond by making additional improvements during the operation when he had found further problems inside my nose left by a previous surgeon. For me this was the work of a very skilled and dedicated surgeon, Mr Chana is clearly a perfectionist in his work. I received nothing but professional and caring treatment from Mr Chana and his team before, during and after the operation and it would certainly be the first place I would return should I ever consider surgery again. Amazing. Operation was quick after care was thorough. Service, care and food in the hospital was outstanding. My rhinoplasty came our perfect and as described. All information given to me was thorough and correct. After care was brilliant and all follow ups were precise. He gave me many free follow ups after my operation even up to nearly a year after my op to make sure all was good and perfect. Very dedicated and professional doctor. Wouldn't go nowhere else. From the initial consultation to the after care appointments my experience has been outstanding with Dr Chana. He really understands what you want and how you are as a person. He has such a kind nature and friendly personality so it made the whole process so much calmer and stress free. I am ecstatic with my results and wish I had done it sooner. I highly recommend Dr Chana as he is there for you 100% from start to finish. Dr Chana's colleagues are so friendly and helpful, and supportive the whole way too. "From the initial consultation to the aftercare appointments, my experience has been outstanding with Dr Chana. He really understands what you want and how you are as a person. I am ecstatic with my nose surgery and wish I’d done it sooner."